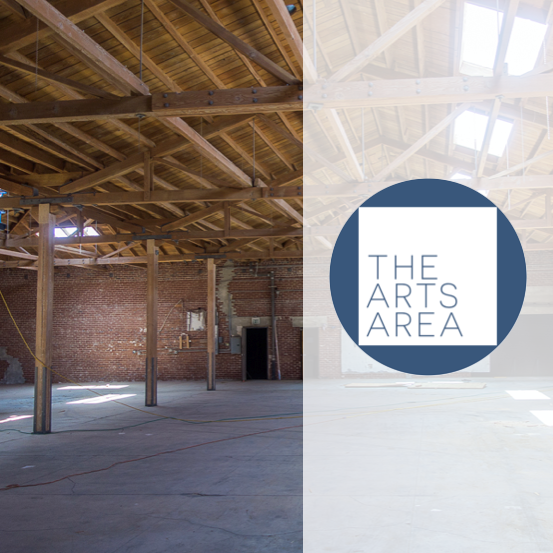 The Arts Area provides professional development, civic advocacy, and resource support for the creative industries of the Inland Empire of Southern California. Through collaborations with local schools, arts organizations, community leaders, and businesses The Arts Area is building academic and economic opportunities for artists and students in the region. The Arts Area vision of “Making Art Work For Everyone” involves opening access to academic and economic resources that would not otherwise be available to underserved communities. The Arts Area believes the foundation for lasting economic development begins with a dedication to education and skills development, strengthening pathways to attending college, supporting careers in the creative industries, and building the needed infrastructure for a growing creative economy. The results of which will promote an economically viable and creative arts community that is an invaluable resource to students, artists, and the community at large. This is a long-term commitment to vitalize artistic and cultural awareness, stimulate innovation and entrepreneurship, and reassert a sense of hope, pride, and accomplishment in the future of the community. Join us in making this vision a reality. Learn more about The Arts Area programs and services at our website and join the Inland Empire Arts Directory. 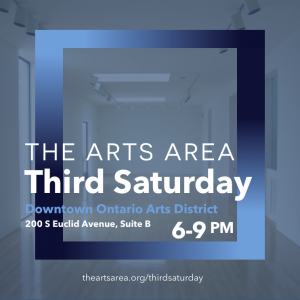 On the Third Saturday of each month join The Arts Area to enjoy the arts with pop-up galleries, exhibition receptions, artist talks and panel discussions, creative and professional development workshops, and arts events sponsored by local artists, performers, organizations and businesses in the Downtown Ontario Arts District.